U not using dis? K, thanx. 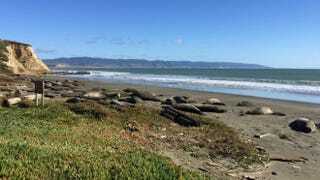 Some 100 elephant seals make the California beach their home after it was sealed off to humans.